The Quantum is a full-QWERTY device with a 3.5-inch capacitive touchscreen display, Wi-Fi b/g, Bluetooth 2.1, GPS, 5 megapixel camera with flash and 720p video recording, DLNA support, 1500mAh battery, and 16GB of internal storage. The full-retail price is listed as $449.95 without subsidies; look for the device to go for around $100 with a 3-year contract. 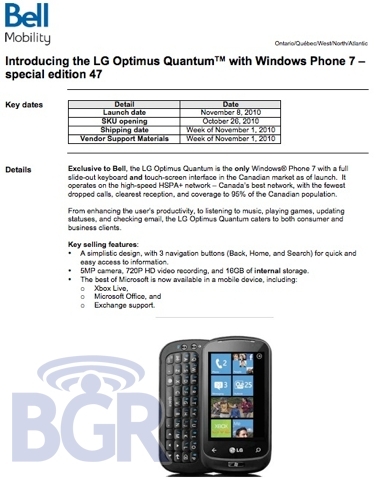 via Confirmed: Bell Mobility to offer LG Optimus Quantum on November 8th « Boy Genius Report. 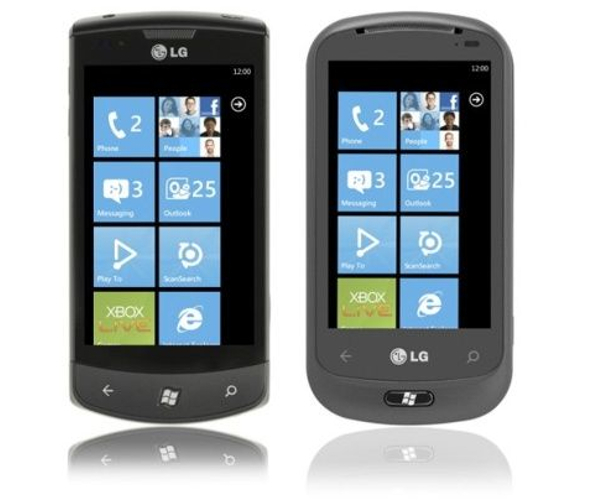 So, faithful readers, is a Windows Phone 7 handset in your future? I’ve been seeing those “Season of the Witch” commercials at least a few times an hour for the last few days, so clearly Microsoft wants us to be thinking…”Hey I do need a new phone, maybe I should give one of those Phone 7 phones a shot…” What’s your take? Read next: Is the future of radio being interactive? Astral Media thinks so.